Glasgow, Scotland, 10 January 2017, Dramatic Software Co announce the worldwide release of “Who Gave Me What”, on the Apple App Store. The idea came to lead developer Andrew Forrest (42) in December 2015, when his baby daughter was born. The couple soon started to lose track of presents the baby had received, especially clothes and soft toys, and they took to recording gifts in the iPhone Notes app, with a photo of each gift. However, recording gifts as notes quickly becomes quite unmanageable for more than a small handful of items, and keeping track of which people had been sent a thank-you card is unwieldy. The Apple App Store already has a number of apps for planning to give gifts, but had none for tracking received gifts. Recording received gifts is a problem faced by every parent on Christmas and birthdays, especially if they have more than one child. To be useful the app would need to be easier to use than a pen and paper, (and the iPhone Notes app). 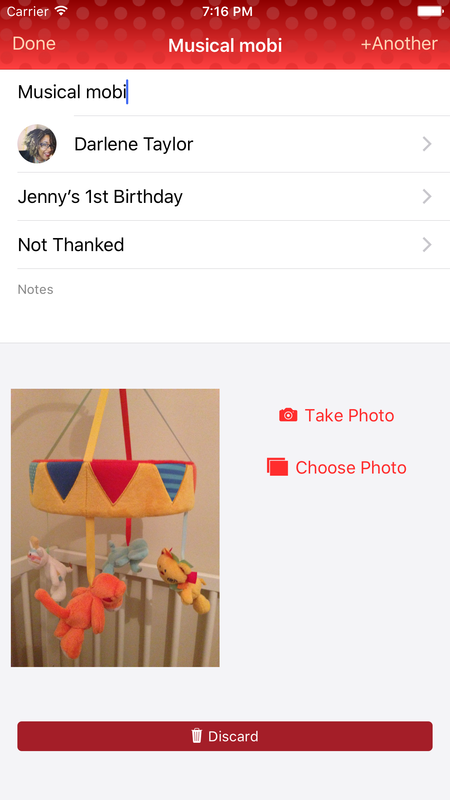 It would need to allow adding photos of gifts using the device camera, and it would need to keep track of which givers had been thanked for which gifts. It functions as a simple-to-use database— Each gift is associated with a giver (from the phone’s Address Book contacts, if they’re in there), and an occasion: Christmas, birthday, New Year, Eid, Hanukkah, a new baby, a wedding… or really anything else. And adding a new giver, or a new occasion is as simple as searching for an existing one, or typing the name of a new one. Crucially, it is then possible to view a list of gifts by occasion, by giver, and by whether the giver has not yet been thanked. Although it was an important goal to keep the app as simple as possible, it does include the ability to use the giver’s contact details to send them a thank-you email, text message or WhatsApp message, or to initiate a thank-you phone call directly from the app. 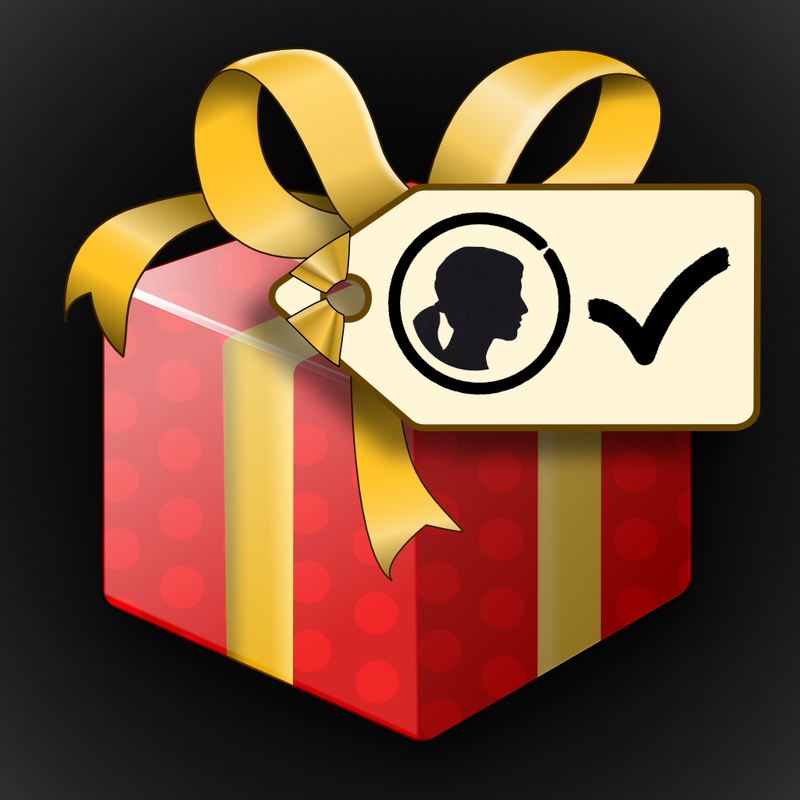 “Who Gave Me What” is available from the Apple App Store, and is priced at £0.99 in the UK and $0.99 in the US. Dramatic Software Co Ltd is an independent software company based in Glasgow, Scotland. We provide software-engineering-for-hire to companies in the recycling and logistics sectors, focusing on software reliability and ease-of-use, and develop mobile apps for the consumer market for iOS and Android platforms.